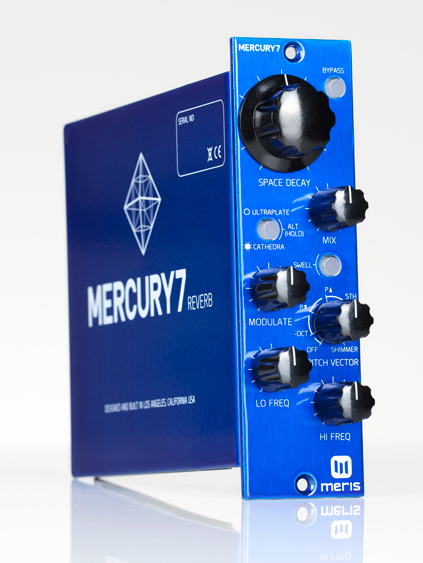 Meris has introduced the Mercury 7, a 500-format reverb unit now available for order. Announced as the world's first 500 Series Algorithmic DSP reverb unit, the Meris Mercury7 uses an analogue signal path alongside 24-bit AD/DA with 32 bit floating point DSP to deliver its reverb sound. According to the manufacturer, its dedicated hardware DSP reverb brings all the reliability and pro level headroom necessary in modern studios (up to 21dBu / 30volts peak to peak, 116dB signal-to-noise ratio) - without of course any load on your CPU/DAW (and no crashing either). Plus, of course, it has real knobs. Designed and Built in Los Angeles, California. 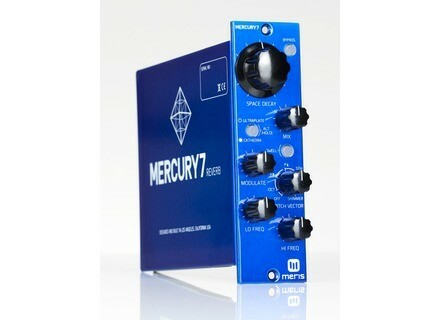 The Meris Mercury7 Reverb can be preordered now for $549. More details to be found at the manufacturer's website. Waves introduces Greg Wells PianoCentric Waves has introduced PianoCentric, the second installment in their Greg Wells Signature series of plugins.